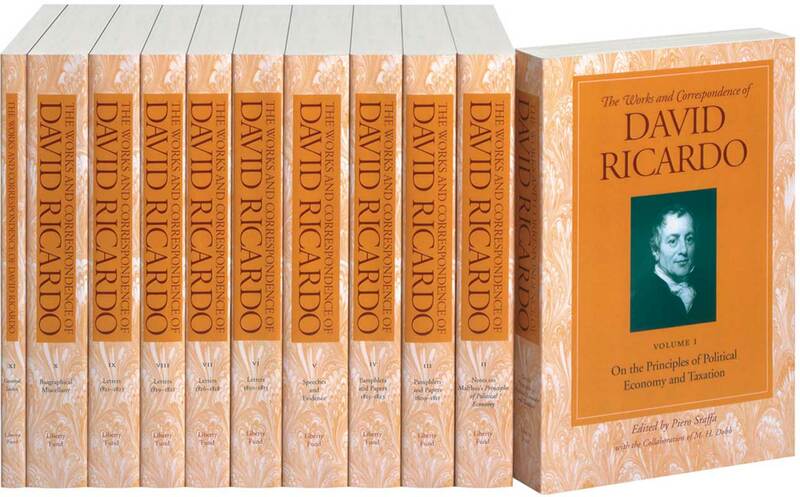 The Works and Correspondence of David Ricardo contains Ricardo’s published and unpublished writings, and provides great insight into the early era of political economics by chronicling Ricardo’s significant contributions to modern economics. Widely acclaimed as the best example, prior to the Glasgow edition of Adam Smith’s writings, of scholarly editing applied to the work of an economist, Volume 11 contains a general index. Volumes 6–9 are dedicated to Ricardo’s personal correspondence with such economic luminaries as Malthus, Jean-Baptiste Say, and James Mill, the father of John Stuart Mill. This series is an affordable paperback version of the cloth edition prepared under the auspices of the Royal Economic Society by Piero Sraffa and printed by Cambridge University Press in 1951–1973, though not available for many years.